Chromebook is a new type of online computing thin client based on Google Chrome OS. The hard drive capacity of Chromebook is relatively small, but cloud storing can overcome the problem of limited hard drive space in conventional computer devices. All of your operations are supposed to be done with web-based APPs or surf the Internet through Chrome browser, with all related source materials stored in the cloud. Chromebook does not have any Windows or Mac applications. It even doesn’t have an internal DVD drive due to relatively smaller hard drive capacity, which means you cannot directly watch DVD on Chromebook. To play DVD on Chromebook, you need to rip DVD to Chromebook first. There are many DVD to Chromebook converters, and we would like to introduce two kinds of DVD to Chromebook converter to you: Handbrake and Leawo DVD Ripper. Handbrake has been around for over ten years and remains one of the best DVD to Chromebook converter out there for transcoding video files from one format to another. 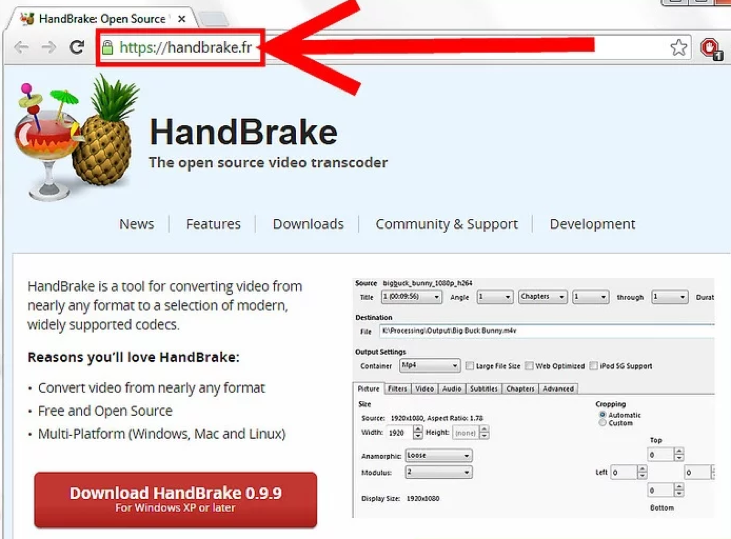 Handbrake is open source and completely free of any attached strings or shady offers; you only get what you download, nothing else. Here are steps of how to use this application. First, you need to download Handbrake and install it on your computer. Once downloaded, you’ll be asked to install the program. Follow the directions on your screen and you’ll be fine. 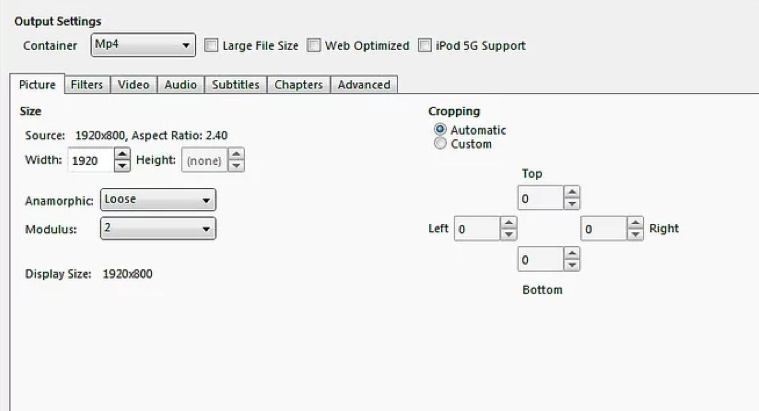 Open Handbrake and click on the “Source” button at the top left. Select DVD from the drop down list. Then browse for the location where your DVD is located. Select the DVD or the folder, and click “OK”. Once you’ve chosen the source, the software will automatically ask you to select the destination. The way your picture and sound quality will turn out in the resulting file depends on the settings you choose in this step. We click “Browse” for our file Destination, choose a location for our new file, as well as give it a fitting name. We’ll go ahead and save the file in the same location as our source and click “Save”. 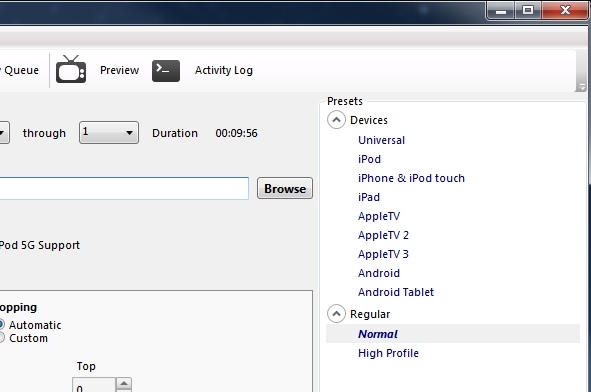 Go to the Output Settings and choose MP4 as the output format. Once you’ve chosen the source and destination settings, you’re pretty much set to go. Just click on the Start Encode button and the program will do the conversion for you. Handbrake is easy to use, risk free, and we are able to achieve very desirable results, simply using the default settings. Leawo DVD Ripper, is a type of DVD to Chromebook converter that can help you achieve the wanted result. Here is a guidance of how to use it to enable your Chromebook to play DVD. Before we start, we need to download and install Leawo DVD Ripper on our computer. 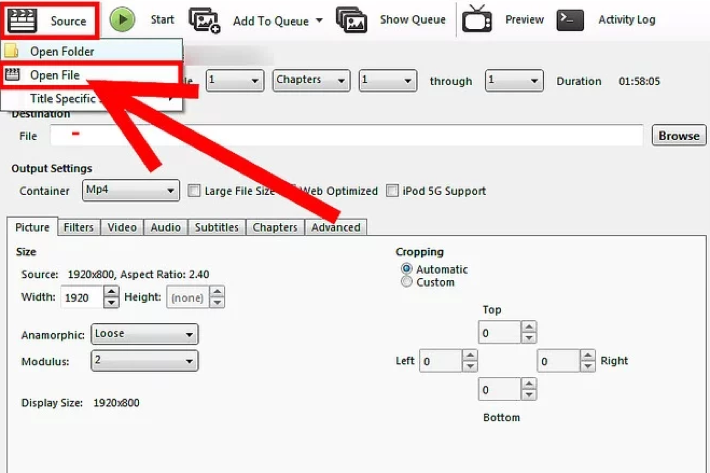 On the main program interface, click “Convert” module to enter the converting page where you need to click “Add Blu-ray/DVD” button to import source DVD files. After this step is done, you can choose subtitles and audio tracks, play back imported media files, adjust order, edit videos, etc. You need to click the box next to the “Add Photo” button, and then choose “Change” to enter the “Profile” panel for selecting a profile as output format. You can add profiles to Favorite section, Custom profiles, select profiles from Format or Device tab on the Profile setting panel. You can click the edit icon on the drop down box or the small edit icon on the Profile panel to edit the video and audio parameters of selected profiles. 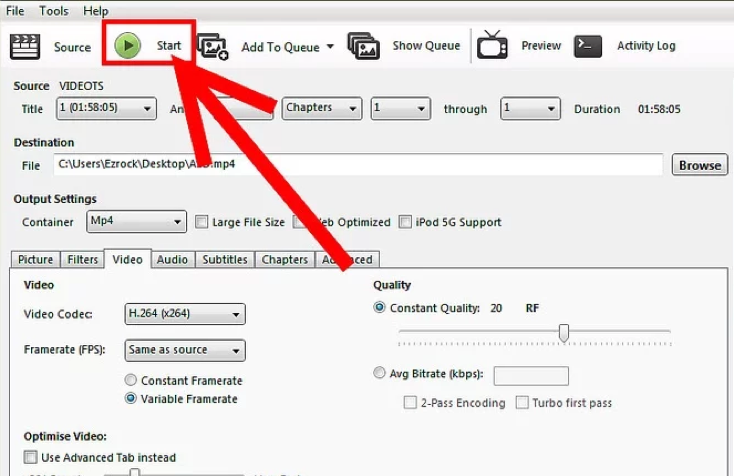 You can reset Video Codec, Quality, Bit Rate, Frame Rate, Aspect ratio, Audio Codec, Audio Quality, Sample rate, Channels, Resolution (choose from provided options, or manually input the resolution you desire into the box according to your devices or players), etc. Click the big green “Convert” button. Then a sidebar for you to set the output directory to save the output files will appear. You can choose where you want to save your movie. Click the “Convert” button at the bottom of the output directory setting sidebar to start converting DVD files. You will see that all converting progress on the converting panel are presented. Another question is which one you should choose. We have to say that HandBrake is a pretty great program for DVD ripping, and it is free! But many people, especially those newbie for DVD ripping, complain that it’s quite complex to rip DVD with HandBrake. Plus, the program comes with some disadvantages. For example, it has no support for ripping copy protected DVD. Its output video formats are limited to MKV and MP4. Its DVD editing function are very limited. In contrast, Leawo DVD Ripper could extract audio from DVD movies and convert DVD to video in 180+ formats like MP4, MPEG, WMV, MOV, MKV, FLV, RMVB, AAC, AC3, AMR, M4A, MP3, etc. for multiple media players and portable devices like Apple iOS devices (iPhone, iPad, iPod, Apple TV, etc. ), Android mobile phones (Samsung Galaxy, Note, HTC One, Sony Xperia, etc. ), and tablets, Windows phones, PS4, Blackberry devices, etc. 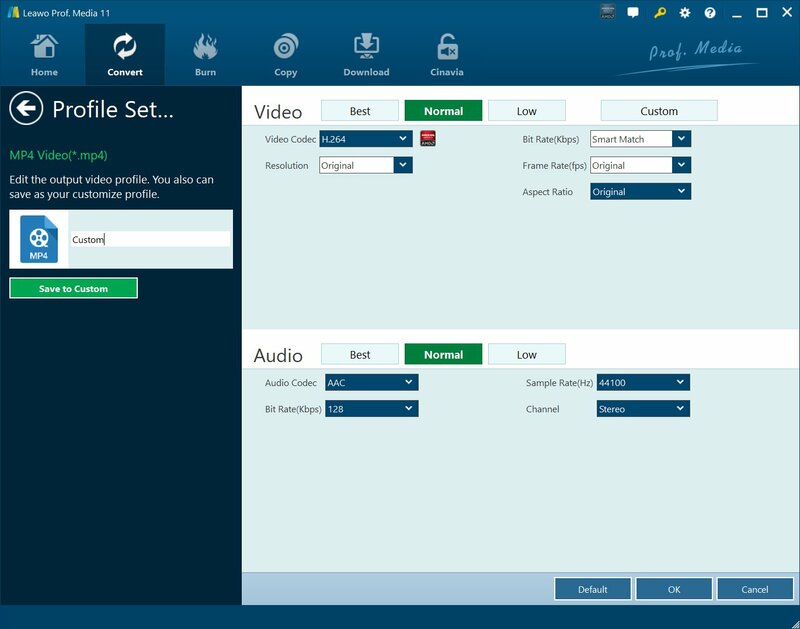 With professional video and audio parameter editor, for output files, you are able to adjust video codec, audio codec, video size, bit rate, aspect ratio, frame rate, etc. Besides, the program provides rich editing features for you to get the best overall video effect. It even allows you to convert 2D DVD to 3D movie for vivid 3D enjoyment. Leawo DVD Ripper also provides a short how-to guide on program main interface to keep the confusing choices to a minimum. A range of output presets make DVD ripping just a breeze. In conclusion, Leawo DVD Ripper has more functions and is much easier to use. Anyway, it is better to get Leawo DVD Ripper to have a wonderful watching experience as it doesn’t cost too much after all (29.95$). Good news is that there is a free trial online, so you can have a try first.